It appears the credit market's dead-cat-bounce party is over. 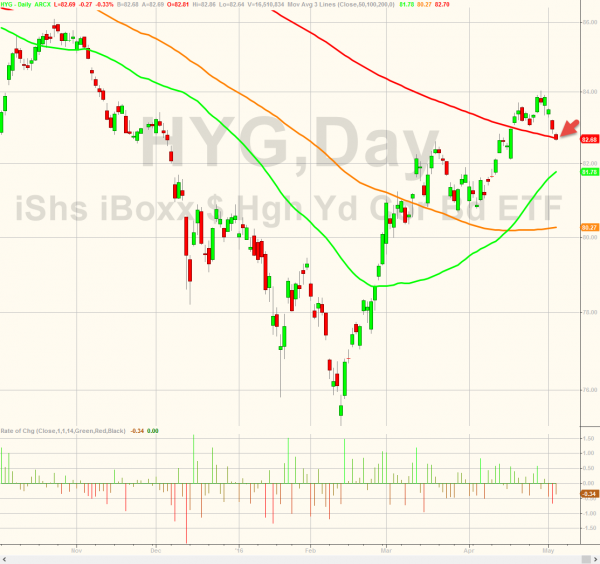 Following the almost unprecedented bounce off the February lows, the last few days have seen HYG (the largest high yield bond ETF) tumble back below its 200-day moving average as credit spreads (in IG and HY) start to widen significantly. 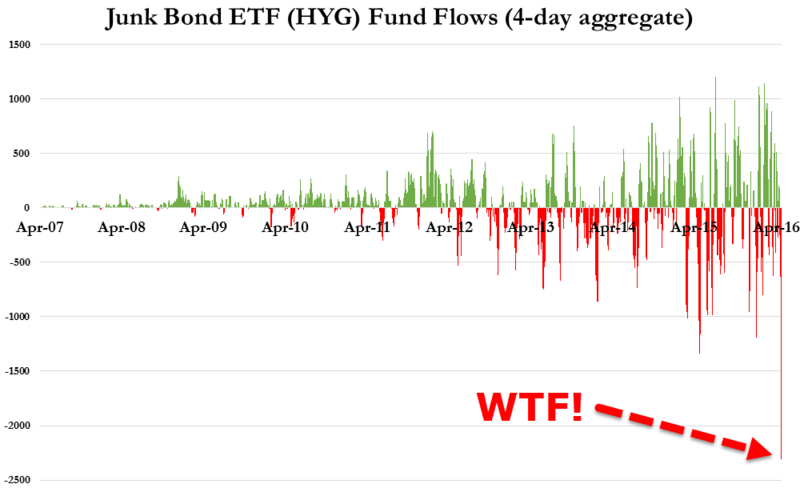 The driver of this sudden weakness is now clear - a $2.3bn 4-day outflow which is the most sudden and largest redemption ever.